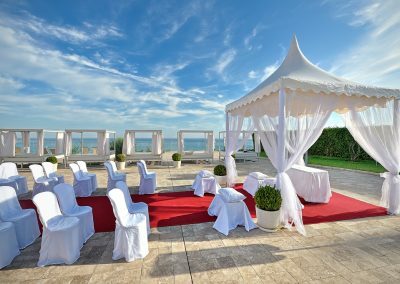 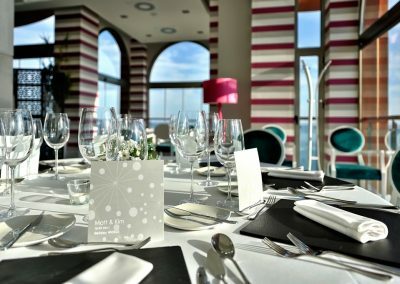 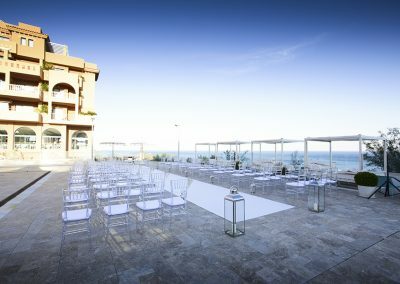 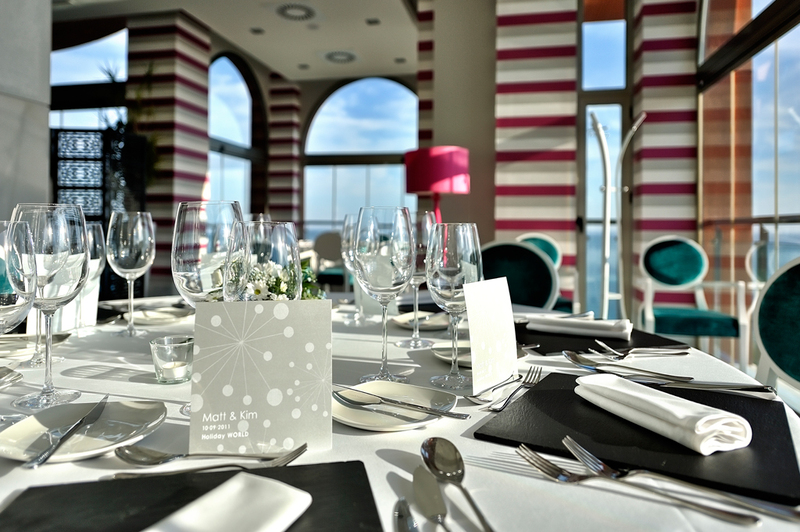 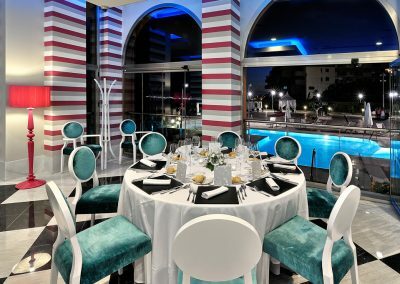 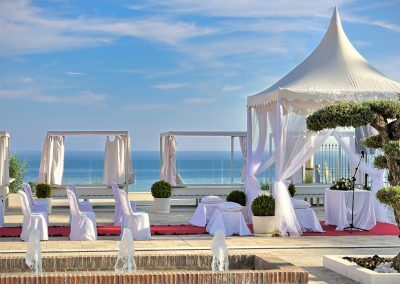 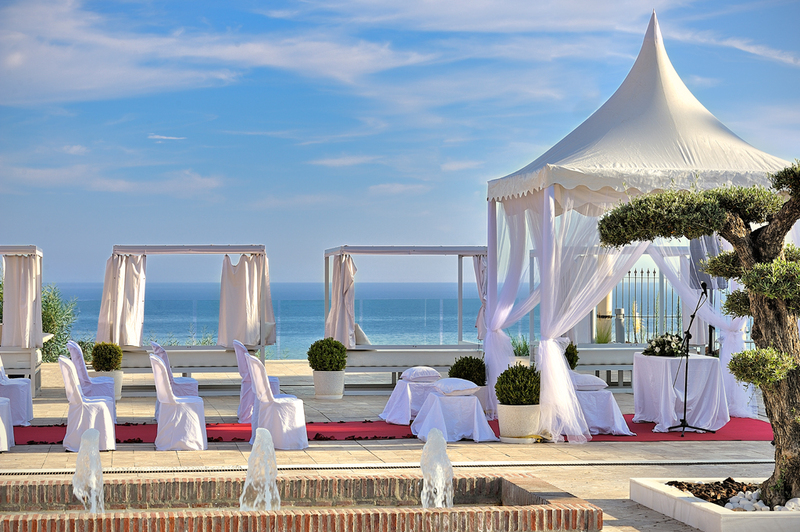 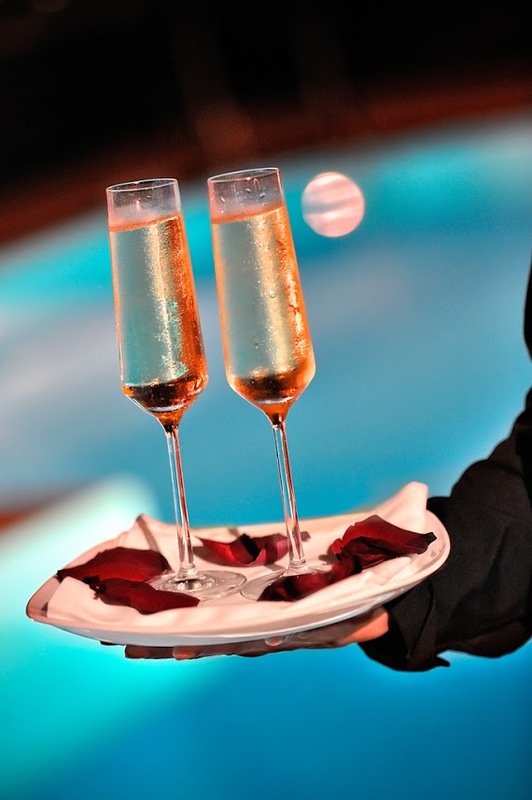 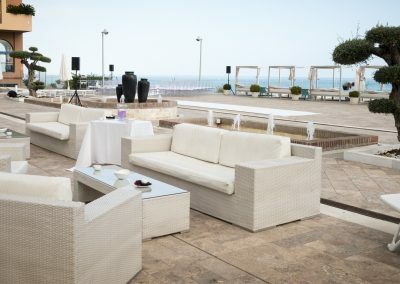 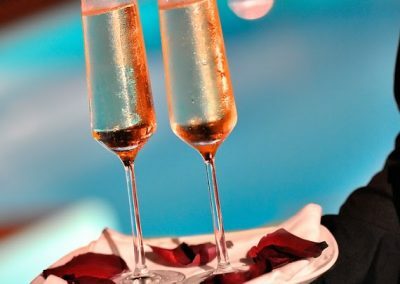 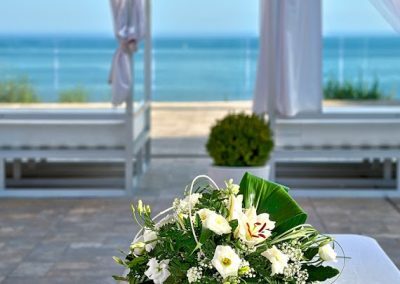 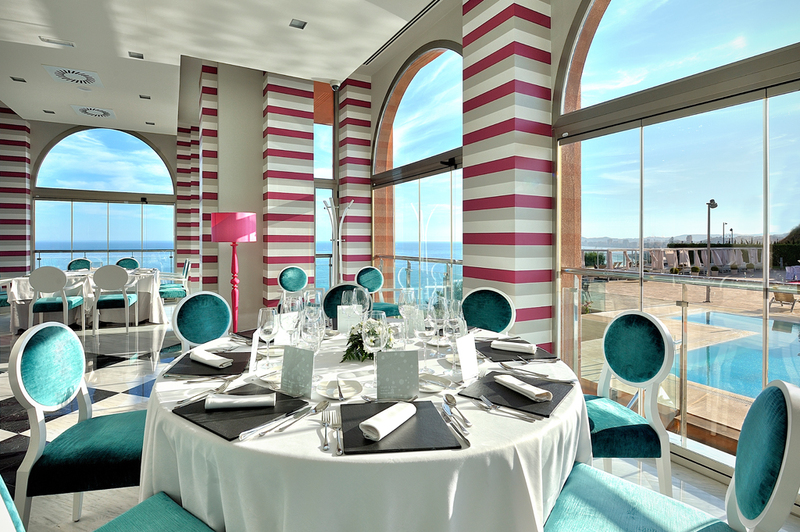 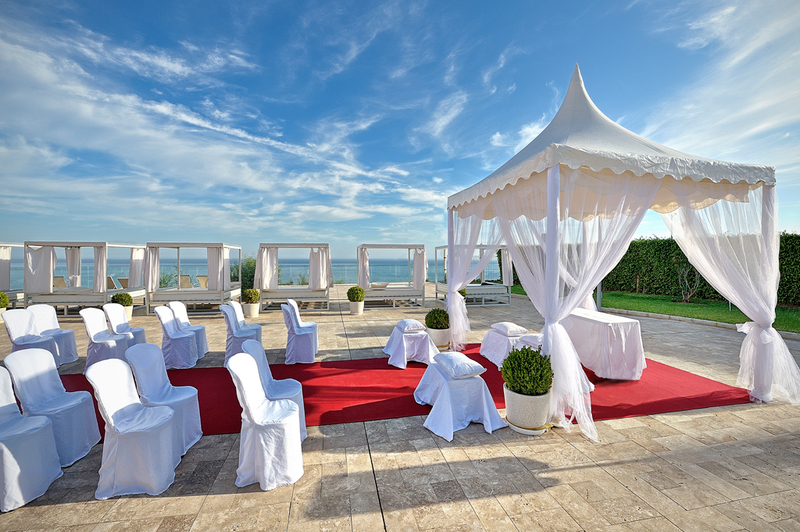 Hydros Boutique hotel in Benalmadena – If you’re looking for an intimate Wedding venue with stunning sea views, close to the airport and that caters for Wedding of 20-100 people, you’ve found it! 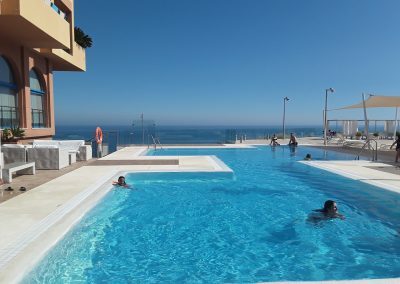 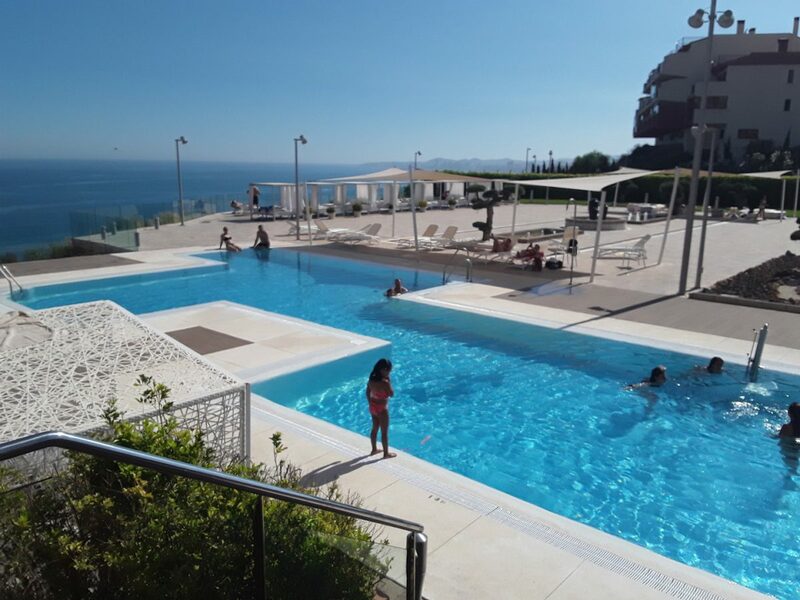 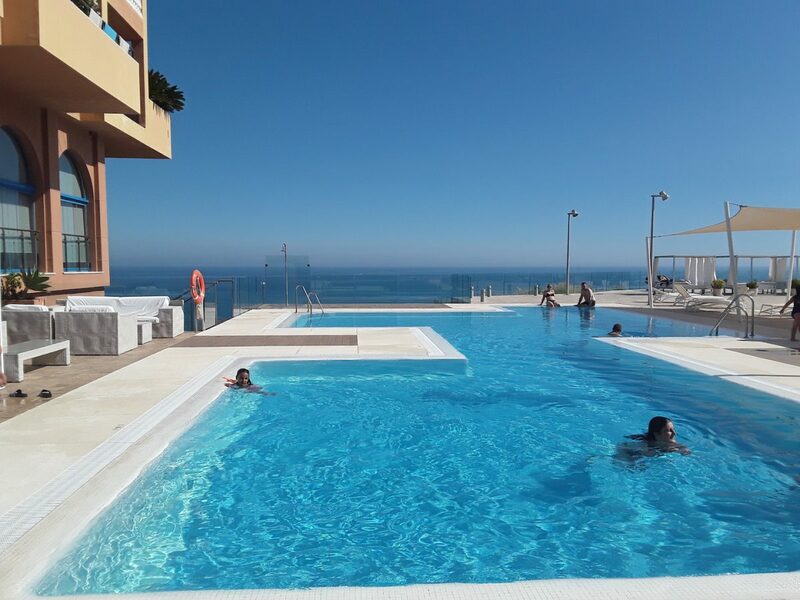 Hydros Boutique Hotel Benalmadena is part of Holiday World Resort and is located beachfront in Benalmadena Costa, just 20 minutes drive from Malaga International Airport. 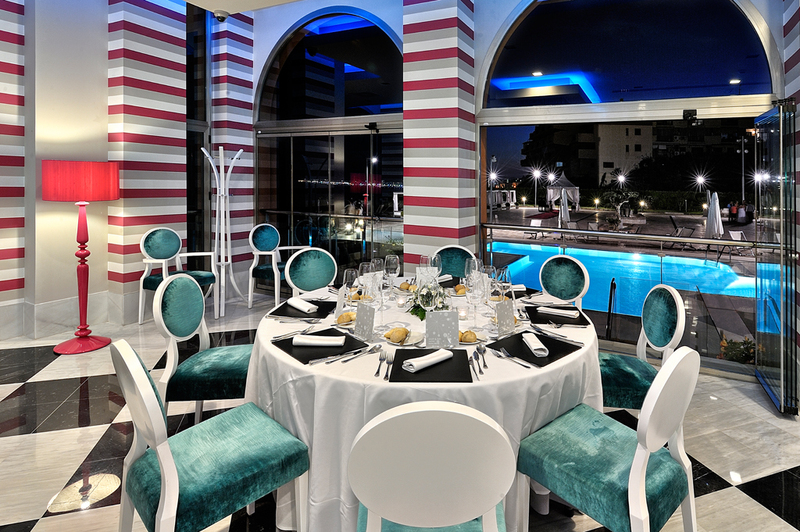 The resort is family friendly, and offers 5 hotels, which each host a different theme, meaning there is something for everyone: families, couples, all inclusive and self catering. 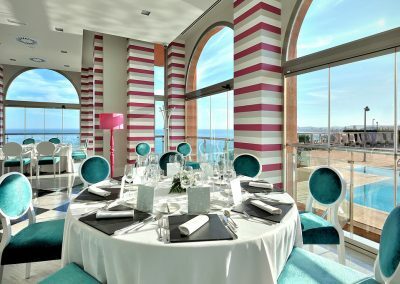 Hydros is the newest addition to this well known group of hotels, and offers an elegant and unique setting. 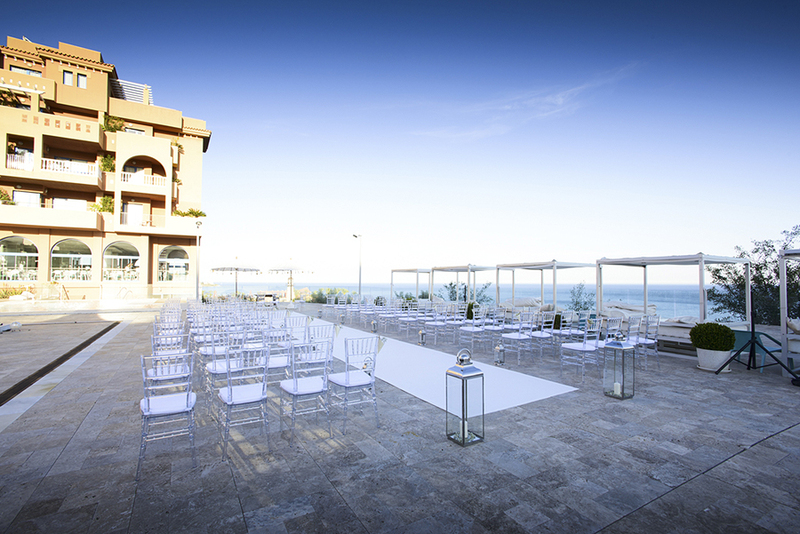 Weddings can take place here at any time of day, and at any time of the year (weather permitting of course). 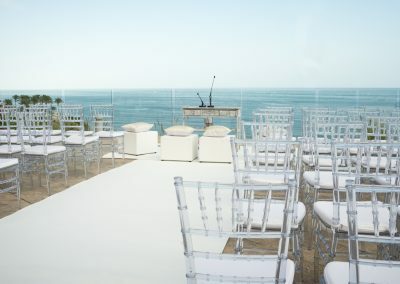 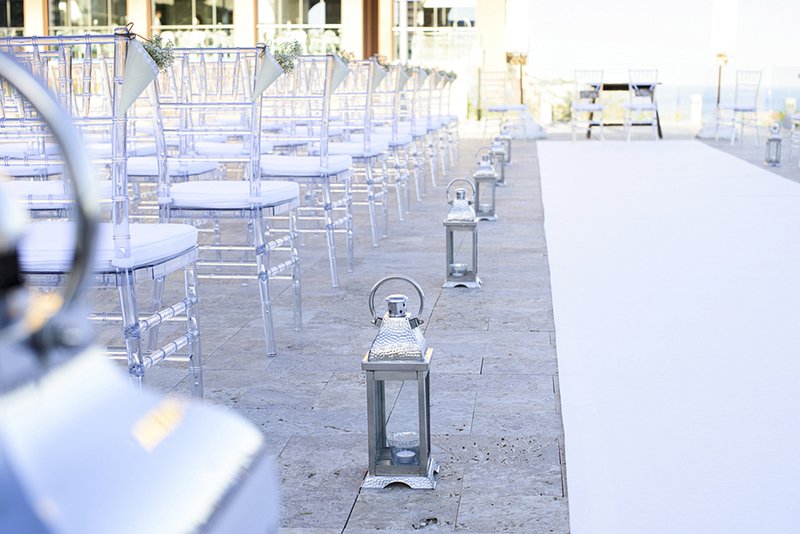 There are options to host your blessing ceremony and drinks reception overlooking the ocean on the spacious terrace, with dining options both indoor or outdoor. 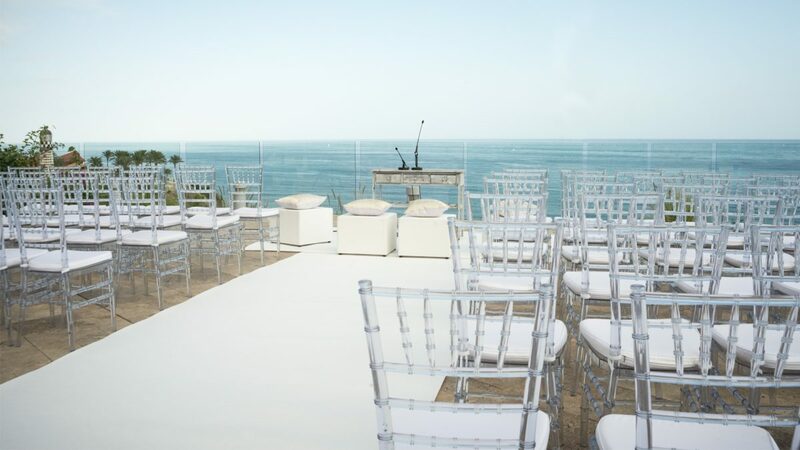 First dance and music up until midnight can also take place outside while the moon shines over the sea. 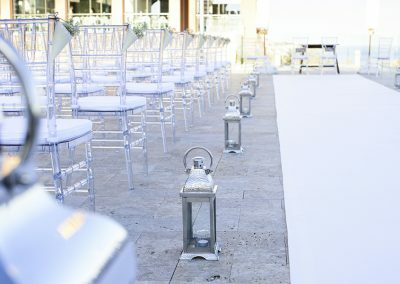 If it’s a Catholic Church Wedding you are looking for, there are 3 options nearby, where ceremonies can take place at a choice of different times. 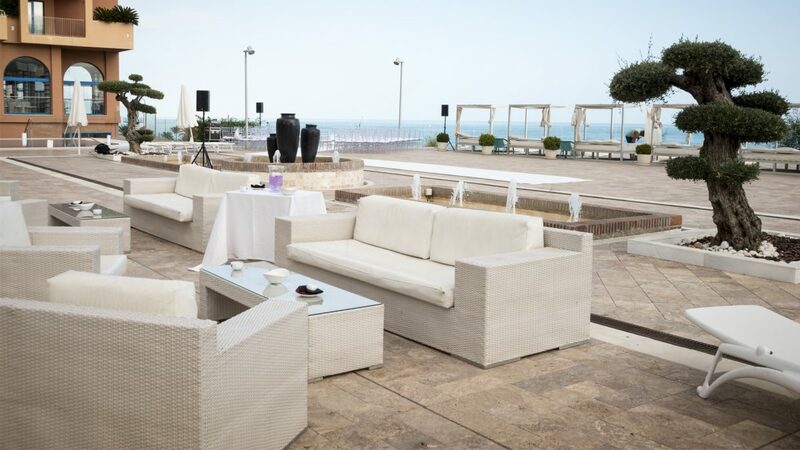 If you’re looking for a venue that can cater for larger groups, click here to visit the Holiday Beach Club venue can cater for Weddings of 80-600 persons. 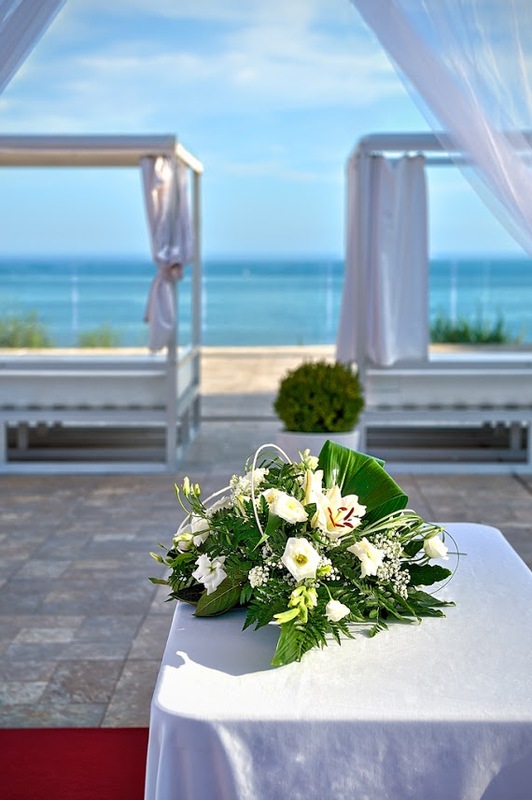 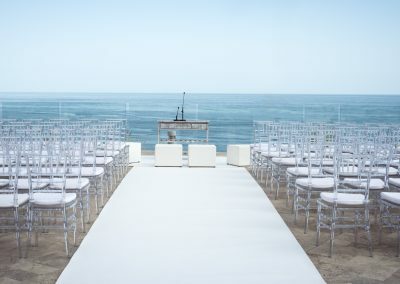 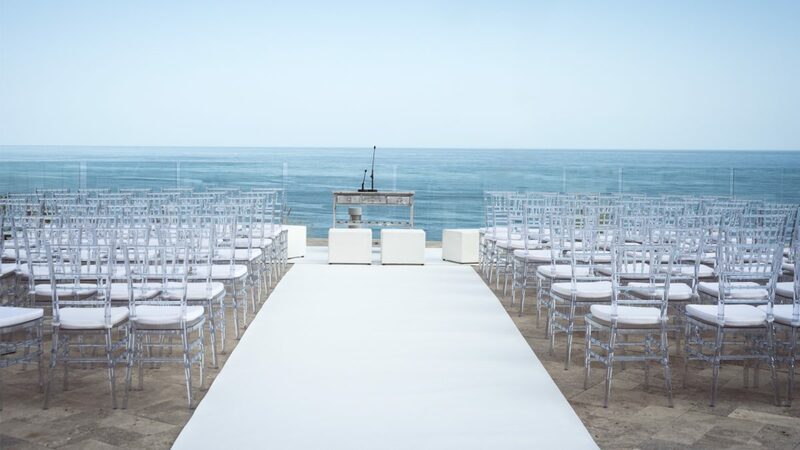 For groups of 80-120 persons, there is also the option to combine the two venues, hosting ceremony at the Hydros hotel, and then Wedding reception afterwards at the Beach Club.